Great Leadership: Leaders: Take the “Blind Spots” Test! Leaders: Take the “Blind Spots” Test! If something bad were to happen to you or one of your key team members, something that took you or that person out of action for a month or more, would your business be in crisis? Would its performance suffer? Would its survival be in question? Did you hesitate before answering any of those questions? If so, your company may be suffering from “blind spots syndrome.” One or two people may be carrying a disproportionate share of responsibility for the entire organization’s performance. In this situation, well-intentioned company leaders often set themselves and their companies up for failure by taking on too much, improvising too often, and not delegating effectively. As a result, they typically don’t know what they don’t know about the most dangerous obstacles they face … and, all too often, they’re not particularly interested in finding out. This dysfunctional way of working drains both leaders and organizations of energy, resilience, and potential. It’s stressful for you and everyone in the organization. How vulnerable is your company to the blind spots syndrome? You can begin to get an answer by taking the following short test. BLIND SPOT #1: No methodologies and systems. When everything is improvised, inconsistency carries the day, and predictable events – like key people leaving or getting sick for an extended period – lead to major, immediate problems. Give yourself a score of 1 if your business would be in instant crisis if its top three people were, without warning, incapacitated for a week or more; a score of 10 if such an event would have little or no immediate effect on the smooth functioning of your organization; or another score if your organization is somewhere in the middle. BLIND SPOT #2: Not being in recruiting mode. The best companies are always on the lookout for the best people. Give yourself a score of 1 if you are only in recruiting mode when there is a staffing emergency; a score of 10 if you are always in recruiting mode; or another score if you are somewhere in the middle. BLIND SPOT #3: Not establishing a documented process for hiring. Following a “gut feeling” is not enough. You need a clear, quantifiable hiring process, and everyone who hires employees needs to follow it. Give yourself a score of 1 if you have no documented hiring process; a score of 10 if you have a detailed written hiring process that everyone with hiring authority in your organization follows; or another score if you are somewhere in the middle. BLIND SPOT #4: Not creating and sustaining a culture of accountability. Supporting such a culture requires leaders to show personal vulnerability. The leader’s example is the single biggest determinant of success in this area! Give yourself a score of 1 if you have never acknowledged a personal skill gap or oversight to a subordinate; a score of 10 if you regularly establish specific accountabilities to subordinates and apologize authentically whenever there is a breakdown that prevents you from fulfilling that accountability; or another score if you are somewhere in the middle. BLIND SPOT #5: Creating learned helplessness. This is a big one, and I want to look at it closely. People come to us to ask us for our opinions all day long. Sometimes those requests for our opinion are really requests that we solve a problem -- and sometimes we are all too happy to jump in and do so. Of course, a lot of these questions really are ones that your team member wouldn’t know the answer to … but many are questions that the person could answer on his or her own. We may field these questions at a time when we are in the middle of something else that we don’t like doing very much … like staring at spreadsheet numbers and looking for some magic trend. So when the person with the question comes in, we are happy to put that down and move into “rescue” mode. This pattern brings to mind the proverb about giving a person a fish to eat, as opposed to teaching a person how to fish. One “solution” lasts a day – the other lasts a lifetime. Which is better? I think you know the answer. Or think about your own home life. If your kid is having trouble with homework, do you say, “Don’t worry, hand it over here, I’ll do it for you”? Of course not. Yet we are all tempted to rescue team members at work when we know they will be better off solving the problem themselves. Why? One reason we tell ourselves is that we think it will be faster. We want to just give the answer so we can go back to what we were doing. When we add up all the interruptions, though, we realize we’re not really gaining anything. Another driver is ego. We want to jump in and be the “fixer.” Let’s be honest. We love this part of the job, especially when it’s more interesting than what we were doing when we got interrupted! Give yourself a score of 1 if you often find yourself taking on tasks because you convince yourself no one else is capable of “doing it right” or doing it on time; a score of 10 if that seldom or never occurs and you spend 90% of your time working on the business, rather than in it; or another score if you are somewhere in the middle. These are just some of the obstacles that stand in the path to personal and organizational excellence. Even one of the blind spots I’ve shared with you has the potential to undermine or even kill a business. Why bother to address these issues? Because failing to do so leaves you vulnerable to unacceptably high levels of personal stress. That affects not only your ability to lead, but your quality of life. Note that blind spots can pop up when you least expect them, even in the areas where you imagine yourself and your company to be the least vulnerable. Companies often “fix” a blind spot, but find that it returns over time. Why does that happen? Creating self-sufficient team members and departments is the ultimate goal of any effective leader. That means people and teams make important decisions in areas you’ve specifically delegated to them—which is as it should be. Yet as you grow in scale or bring in new people, that very growth creates the possibility of a blind spot’s recurrence or of brand new blind spots developing—new problem areas of which you and other company leaders aren’t aware. The fact that there were no blind spots in a given area the last time you checked is no guarantee that there are no blind spots right now! Most of the leaders I share this test with acknowledge that dangerous blind spots do exist in their world – but they haven’t yet taken on a personal commitment to change the status quo. Unfortunately, just knowing about a blind spot is not enough. Overcoming one, in our experience, takes commitment, patience, and a willingness to work with a personal coach. But the effort is one of the best investments you can make in yourself and your company. 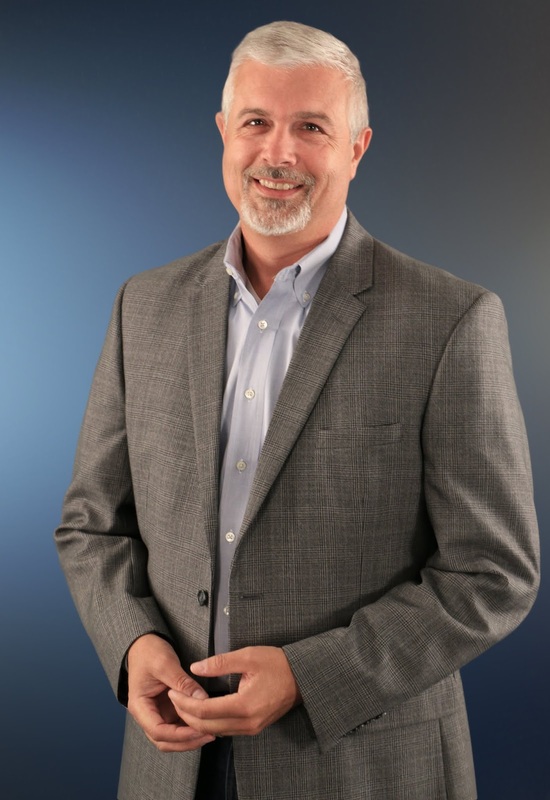 David Mattson is the CEO and President of Sandler Training, an international training and consulting organization headquartered in North America. Since 1986, he has been a trainer and business consultant for management, sales, interpersonal communication, corporate team building and strategic planning throughout the United States and Europe. 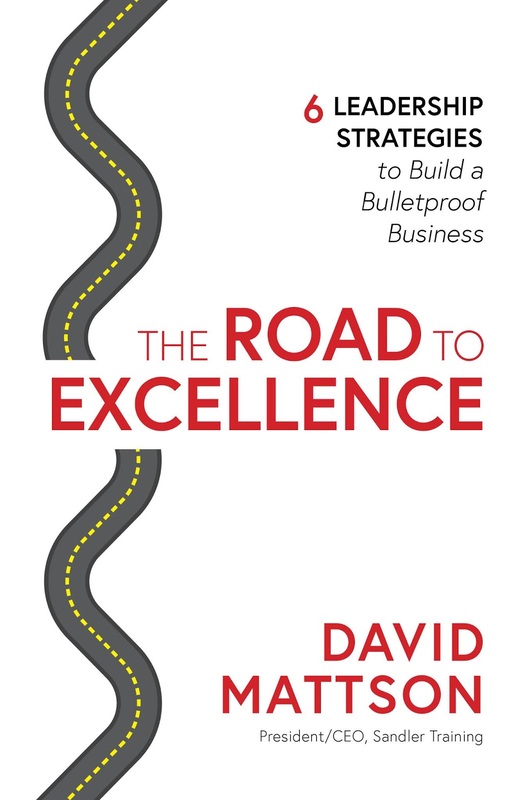 A Wall Street Journal bestselling author, his new book is The Road To Excellence: 6 Leadership Strategies To Build a Bulletproof Business. For more information, please visit: sandler.com/road-to-excellence.